Implementing modernization program of its national navy, Vietnam has become one of the major customers of Russian naval hardware. Total cost of Vietnam's orders for Russian maritime equipment is comparable to current contracts with Indian Navy. Admiralteyskie Verfi shipyard conducted a keel-laying ceremony of the first out of six Project 636 Kilo diesel electric submarines for export. Officially, the orderer was not disclosed, although most likely that is Vietnam. It should be noted that the second of two Gepard-3.9 frigates was recently delivered to Vietnamese Navy. 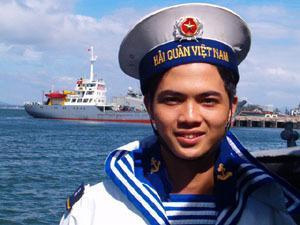 At present, there is an obvious misbalance in the structure of Vietnamese Navy, because in contrast to surface ships, shaping of submarine fleet has been out of spotlight for a long time. With this in mind, it was not a big surprise that in May 2009 Vietnam declared it was on the verge of a contract with Russia for six Project 636 Kilo class diesel electric subs. It was also reported that the order would be executed by Admiralteyskie Verfi shipyard. Late 2009 Russia and Vietnam tied a $2 bln delivery contract for six Kilo class diesel submarines. Three months later, the parties initiated talks on construction of a basing site and appropriate infrastructure. Experts appraise financial component of this program as a sum comparable or even higher than the cost of submarines themselves. Concurrently with shaping of submarine fleet, Vietnam fell into modernization of most surface ships and boats. Lion's share of Vietnam's upgrade programs in the area of surface fleet is also related with Russia. In June 2007 Zelenodolsk Shipyard kicked off construction of two Gepard-3.9 frigates under a contract with Vietnamese Navy signed in December 2006. The first ship was launched in Dec 2009, the second one – in March 2010. Delivery of the first frigate to the orderer was carried out in July 2010, another one – on Aug 23, 2010. Export variant of Gepard-3.9 frigate was developed on the basis of Project 11661. It is designed for search, tracking, and engagement of surface, underwater, and aerial targets both independently and within a task unit; escorting convoys; conducting patrols; protection of sea borders and economic zone. Upgraded Gepard for Vietnam was built under stealth technology. The ship is armed with SAM system Palma-SU with new optical-electronic guidance system and Uran missile system. The project provides equipping the ship with deck-based helicopter Ka-28. Negotiations are held with Vietnam on building of other two frigates Gepard-3.9. It was previously reported that the contract would be signed in the current year. In summer 2002 two Project 1041.2 Svetlyak patrol boats ordered by Vietnamese Navy were launched at Almaz shipyard (St. Petersburg). Both of them were delivered to the orderer in January 2003. The construction was carried out under the contract signed by Vietnam and Rosoboronexport in November 2001. Svetlyak class boats are designed for protection of sea borders, littoral lanes, and anti-poaching operations. The ship is armed with two AK-306 gun mounts, and antiaircraft system Igla-1M. Then Vietnam expressed intentions to prolong Svetlyak program and build a series of 10-12 boats for the national navy. This program evolved in 2009. Totally, four Project 1041.2 Svetlyak patrol boats were laid down by the order of Vietnamese defense ministry in summer 2009 at two Russian shipyards (shipbuilding firm Almaz and ship-repair plant Vostochnaya Verf in Vladivostok). Shipbuilding firm Almaz plans to complete two boats in 2010. Vostochnaya Verf has not reported delivery terms of the ships so far. In March 2010 Vietnam agreed to buy an additional patrol boat Svetlyak from Russia. Shipbuilding program of guided missile boats Molniya is also continued. Four Project 1241RE Molniya missile boats armed with Termit missiles were exported to Vietnam in 90's. In 1993 Vietnam purchased a construction license for Project 1241.8 Molniya missile boats armed with Uran missiles. Two boats of this project built in Russia were commissioned into Vietnamese Navy. Implementation of license contract with Vietnam on 10 missile boats Molniya will last till 2016. Besides, Vietnam made an official request for participation in joint designing of fast-speed patrol boats with displacement of 100-400 tons. Mobile coastal missile systems (MCMS) K-300P Bastion-P will be exported to Vietnam this year. Having signed a delivery contract for two systems in 2006, Vietnam was the first orderer of MCMS Bastion.